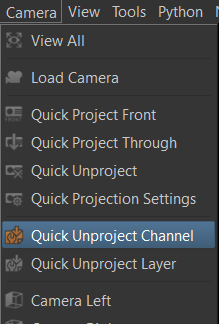 Quick Unproject Channel will unproject the currently active channel and place the result into your image manager. The files at the moment will be saved in your user directory. The unprojected Image will always be 'squared' (1:1 pixel ratio). 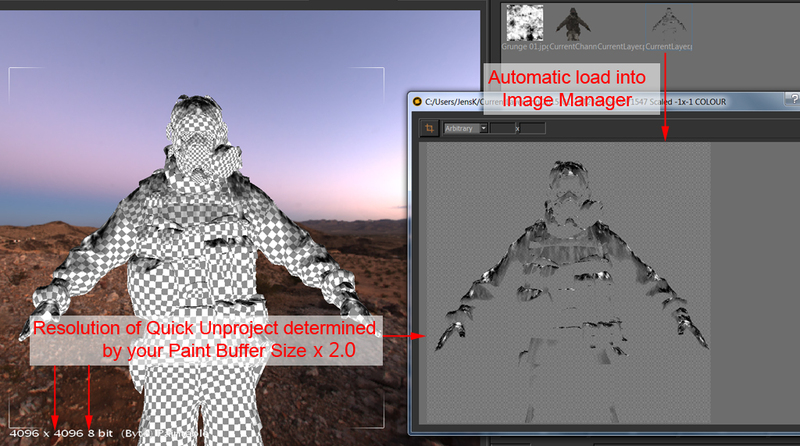 Quick Unproject Layer will unproject the currently active Layer and place the result into your image manager. 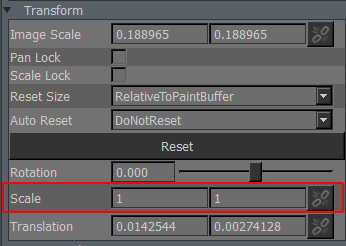 Unprojecting of a single layer mask is currently not possible. Getting your image to line up with the Paint Buffer is easy. 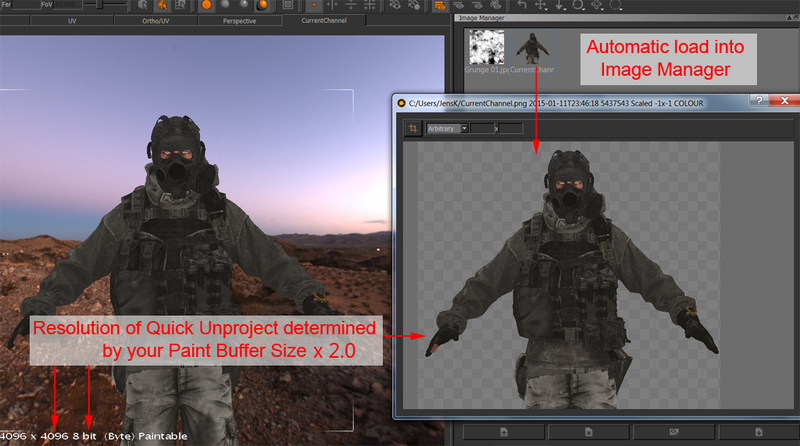 Drag in the unprojected Image from the Image Manager into the Viewport to activate the 'Paint Through' Tool.